NOTICE: This group has been permanently cancelled by it’s group leader. A new Gwinnett group to replace this one is in the works. 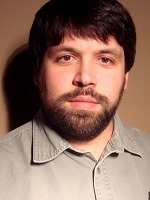 Stay tuned to AtlantaREIA.com for more information as it develops. 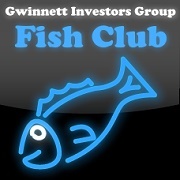 The Gwinnett Investors Group (The Fish Club), led by Aaron McGinnis, is an educational and networking group that brings in local, active investors and service providers to provide information and education in a low or no-sales environment. The group meets on the CANCELLED 3rd Tuesday of every month at 7 PM at the Red Lobster Seafood Restaurant located at 2055 Pleasant Hill Road in Duluth, GA just off I-85. This group is open to Atlanta REIA Members and guests for only $2.00 per person. Please be prepared to patron the restaurant, enjoy the networking, and the outstanding information!